Reputability the last man to leave the beaches at Dunkirk having commanded the rear-guard, Alexander further enhanced his reputation in Burma before being chosen by Winston Churchill as Commander-in-Chief in North Africa. 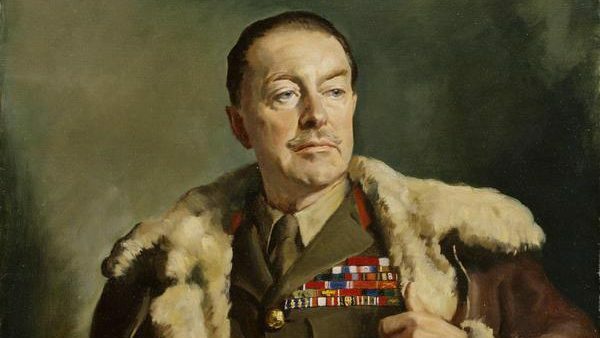 As such he oversaw the British victory at the Battle of El Alamein taking over as Army Group Commander when the British Eight Army and British-American 1st Army combined to finally push Rommel out of North Africa. As Army Group Commander he was responsible for the invasions of Sicily and Italy, the defeat and surrender of Italy, and the monumental battles with the Germans along their pre-prepared defensive positions on the Gustav and Gothic Lines which included the Battle for Monte Cassino. Question: Of which country did Field Marshall Alexander become Governor-General after the Second World War? As the Commander of the allies’s army in Italy (The 15th Army Group) he sent this Christmas message on behalf of all the allied troops in Italy.